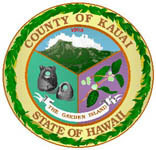 Kudos to Kaua‘i County for voluntarily changing its pre-employment requirements to comply with the Constitution! Now, only “safety sensitive” positions are subject to medical screenings. This follows our recent court victory against Hawai’i County – which led to Hawai‘i County’s compliance as well.